Providing you the best range of communication training system, microwave antenna training lab x band, satellite training systems, satellite communication training lab, signal processing systems and optical fiber communication systems & lab with effective & timely delivery. Microwave Antenna Training System Technosys - mat10, x band dro transmitter, x band dro receiver, signal analyser/stepper motor controller, monopole, dipole, slot wg narrow wall, slot wg broad wall, helix (lhcp)x2nnos, helix (rhcp) x2 nos, patch microstrip, patch microstrip array 2x1, patch microstrip array 4x1, patch microstrip array 4x4, parabolic dish, conical horn, pyramidal horn, e plane sectoral horn, h plane sectoral horn, dielectric rod, waveguide to coax adapter x 3 nos, multi hole directional coupler, stepper motor controlled antenna monopod, windows software, accessories. Microwave trainer with 21 antennas like parabolic dish, patch arrays, horn etc. 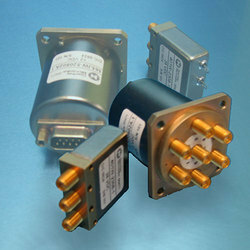 Directional coupler for vswr/ return loss. Ability to transfer digital signal over microwave. The Satellite Communications Training System is a state-of-the-art training system that covers the field of satellite communications. Specifically designed for hands-on training, the system covers modern satellite communication technologies including analog and digital modulation. To measure baseband analog signal parameters. To measure the signal parameters like fm deviation in an analog FM/FDMTV Satellite link on spectrum analyser. 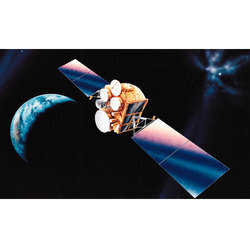 To study the functionality of a satellite MODEM. To measure Linear and Circular polarization of antennas on spectrum analyser. To measure the C/N ratio, threshold on spectrum analyser. To measure the S/N ratio. To study the effect of fading and measure the fading margin of a received signal on spectrum analyser. To measure the Propagation Delay of signal. To measure pathloss using spectrum analyser. To study noise on spectrum analyser. To measure the digital baseband signal parameters in asatcom link. To measure the range of baud rates that the system can support. To send telecommand and receive the telemetry Data and study the operation of a codec. To setup a RS-232 satellite communication link using com ports of PC. 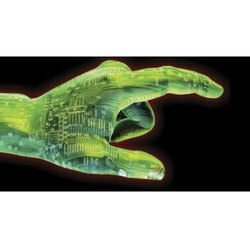 We are offering & supplying fully equipped DSP solutions and MATLAB for industrial and educational needs as everything is becoming digital these days. We offer digital signal processing systems including DSP filters, DSP modems, DSP transceivers and more for good reason. Our company offers a wide range of solutions related to telephony to GPS and GSM technology applications using DSP. DSP Starter Kits are low-cost, simple, comprehensive development tool.Allows new DSP designers to explore the TMS320 DSP architecture and begin developing DSP applications. programs in the teaching material are based on DSP C6713. 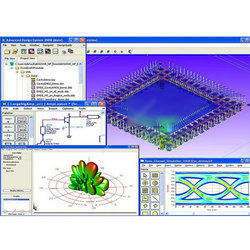 Hardware consists of base I/O board and field replaceable processor module. 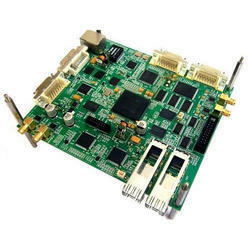 TMS320LF2407 DSP STARTER KIT The F24XX devices are members of the TMS320C2000™ Digital Signal Controller family that combine control peripheral integration and ease of use of a microcontroller (MCU) with the processing power and C efficiency of TI's leading DSP technology. DSP Starter Kits are low-cost, simple, comprehensive development tool.Allows new DSP designers to explore the TMS320 DSP architecture and begin developing DSP applications. The F2833x and F2823x devices are members of the TMS320C2000™ Digital Signal Controller family that combine control peripheral integration and ease of use of a microcontroller (MCU) with the processing power and C efficiency of TI's leading DSP technology. The 2833x include the industry's first floating-point digital signal controllers that operate at up to 150 MHz. Light Runner is a highly advanced fiber optic training kit which is designed and developed to bridge the gap between academia and industry. It comprises of a robust hardware kit backed with an indigenous monitoring and control software. Light Runner is targeted but not restricted to find its use in engineering and science laboratories as well as industry oriented fiber optic training centers for conducting a broad range of experiments, researches and trainings in optical technology. Light Runner can also be used in R&D labs for fiber optic communication development and has expansion capability to add modules to carry out additional experiments. 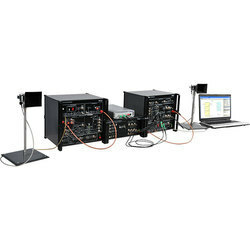 It is a unique stand alone system for fiber optic communication labs that does not require any external instruments/devices such as oscilloscope, function generator, power meter etc. and is completely automated & controlled by the proprietary software. Light Runner has been received with enthusiasm from industry experts as a multi-dimensional innovative product and has been making news since its inception. Light runner has bagged multiple prestigious awards worldwide in recognition of its breakthrough spectrum of functionalities in fiber optics testing and measurement domain. The most recent being the winner title at ‘Innovators Competition’ from a pool of 1000 other technological inventions. The tile was awarded under the Innovation Growth Programme 2011 jointly organized by the Lockheed Martin Corporations (USA) and Department of Science & Technology-Government of India. Other Internationally acclaimed recognitions include but are not limited to Aegis Graham Bell Award in 2010 and finalist in the power of ideas initiative in 2009. Light Runner is already filed for patent protection in India and PCT countries. Light Runner is an open platform based integrated modular system, making it unique from its competitors. It offers a broad range of experiments that include but are not limited to latest cutting edge technologies such as EDFA, WDM, OTDR, BER, Eye Pattern, OADM and Dispersion. Unlike the plastic fiber typically used in the training kits available in the market, Light Runner uses original telecom grade silica fiber and components that help in providing real industry based training. Also, in experiments like WDM, Light Runner offers 4 channel module whereas other competing kits only provide 2 channel modules. Ships with advanced and user friendly proprietary software for optical control and monitoring. The software also provides theoretical concepts associated with each experiment for ready reference. Students can refer to the theory and simultaneously conduct experiment from the same screen. The proprietary software features real time instrument control such as control over modulation frequency, duty cycle and intensity of lasers. It’s an ideal laboratory solution for conducting examinations and practical as it allows experiment results of individual students to be saved for later references by the tutor. Unlike other vendors who offer separate kit for each experiment, Light Runner offers value for money to its clients as it offers much broader spectrum of experiments (offers 16 experiments expandable to 40+ experiments by just one kit) and hence costs substantially less than the competing kits in the market. With Light Runner you would not incur any additional expenses on peripheral equipments, as this stand-alone fiber optic bench top laboratory kit does not require any external systems such as CRO, pulse generator, power meter, fiber spool, etc. 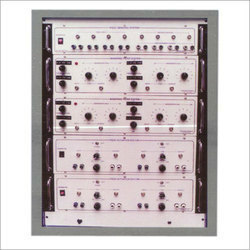 We offer instrumentation systems, which are most technical and sound solutions for industry and institutes. Our company provides a wide range of products from CRO’s to industrial computers, power instruments, transducers, actuators, sensors and many more in the list upto high end technical solutions for big plants and process industry. Also, hand held industrial gadgets are available to robust solutions making technology win the race. Looking for Advance Communication Training Systems ?